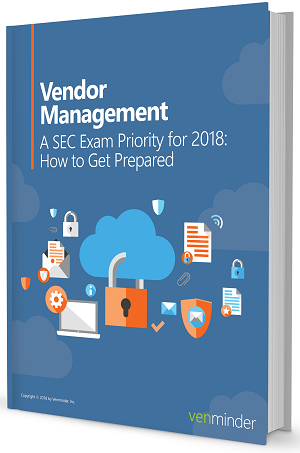 Last month the U.S. Securities and Exchange Commission (SEC) released their 2018 Examination Priorities. The report is your playbook for where the exams will focus this year. Among their top concerns are issues related to anti-money laundering and cybersecurity. These items are directly related to areas of vendor management. It's more important now than ever to get your third party risk management in order.